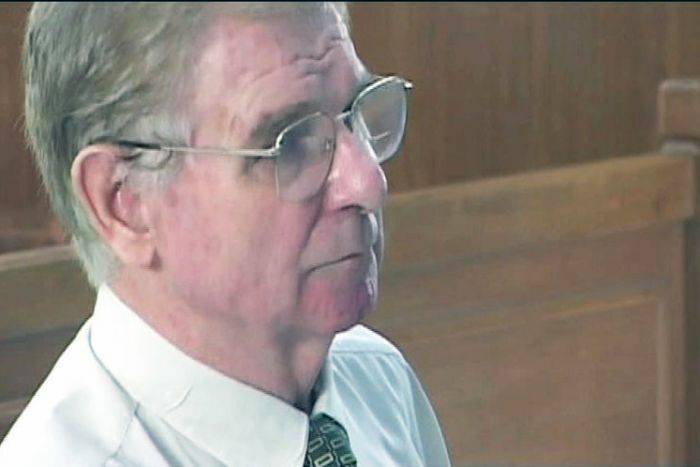 “A former Catholic priest who snuck through a window to sexually abuse one of his young victims has apologised for his crimes, ahead of his sentencing in Adelaide’s District Court. Charles Alfred Barnett, 72, was jailed in 2010 for sexually abusing four teenage boys between 1977 and 1994 while he was the priest at a Catholic church in Port Pirie, in South Australia’s mid-north. He was arrested in Indonesia in 2008 and extradited to South Australia. On his release from the six-year sentence, he faced further charges relating to the indecent assault of two children and the persistent sexual exploitation of another child. He pleaded guilty to the charges and will be sentenced for those crimes within weeks. The court heard the offences were also committed during his time as a priest in Port Pirie more than three decades ago. The wife of one of the victims told the court of her husband’s long-term pain and suffering as a result of being sexually abused as a child. She said when her husband told her about what had happened to him he “sobbed as though his heart was broken”. “This shame impacted so many areas of his life and darkened his days and nights,” she said. The victim’s father said Barnett had built trust in their family through his position in the local parish. “He was a priest who groomed his victim with intelligence,” he said. Barrett’s actions included climbing through a bedroom window to abuse one of his victims. Standing in the dock, he initially directed his apology to Judge Jack Costello before he was encouraged to instead turn towards his victims who were sitting in the gallery of the court. “I’m deeply aware of the seriousness of my offending and the pain, anxiety and hurt that it has caused to my victims who have spoken out today and to their families,” he said. Barnett said while he was in jail among other criminals “it was easy to rationalise and say other people’s crimes are worse than mine”. But he said his attitude had changed since participating in a sexual behaviour rehabilitation program. “Since I have been living among good people since my release, I’m even more deeply aware of the seriousness of what I have done,” he said. “I have made every effort to redeem myself and to repay my debt to society. Barnett’s lawyer Stephen Ey called on Judge Costello to adopt a “merciful approach” to sentencing, telling the court his client had already served a jail sentence and had been rehabilitated. But prosecutor Mikala Ballard called for an immediate jail term to be imposed, highlighting the “gross breach of trust”.